Since 2013, the Kurds have been systematically terrorised by IS, as the caliphate pushed deeper into their ancestral homeland. 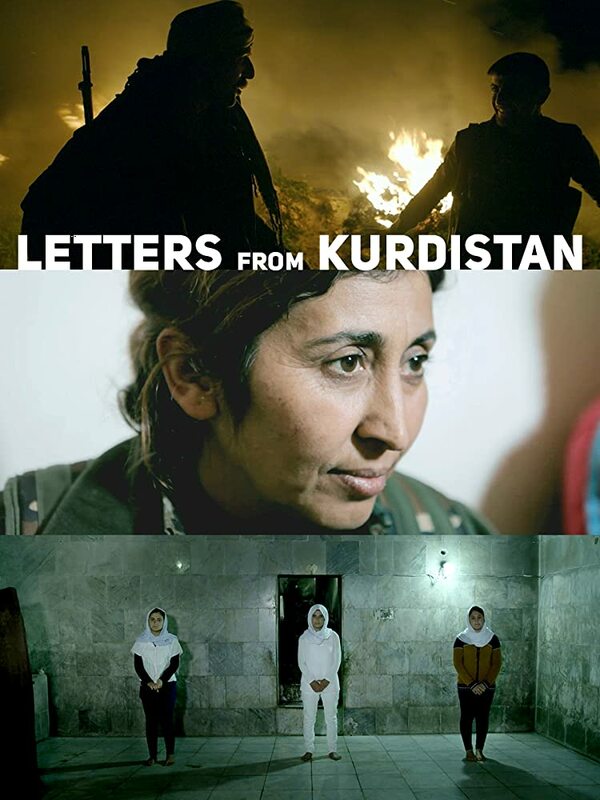 Letters from Kurdistan brings together three uniquely tragic perspectives on the war ravaging the Middle East. A lonely sniper is haunted by the violence he has inflicted doing what he must to defend his people; three teenage Yazidi girls remain defiant despite suffering unimaginable cruelties at the hands of their captors; and a majority female militia defy expectations by holding out against the caliphate’s siege of Kobani. A harrowingly intimate insight into the mental as well as physical toll wrought by a most violent and brutal conflict. Reber Dosky is a Kurdish-Dutch filmmaker. Living in The Netherlands since 1998, he studied film direction at the Netherlands Film Academy and completed his studies with The Call (2013), which traced the impact of war and displacement on the relation between a father and a son and won several awards on international film festivals. With The Sniper of Kobani (2015) Dosky achieved his international breakthrough, earning awards in Canada, Brazil, The Netherlands, Egypt, Italy, Japan and Mexico among others.